Lt. 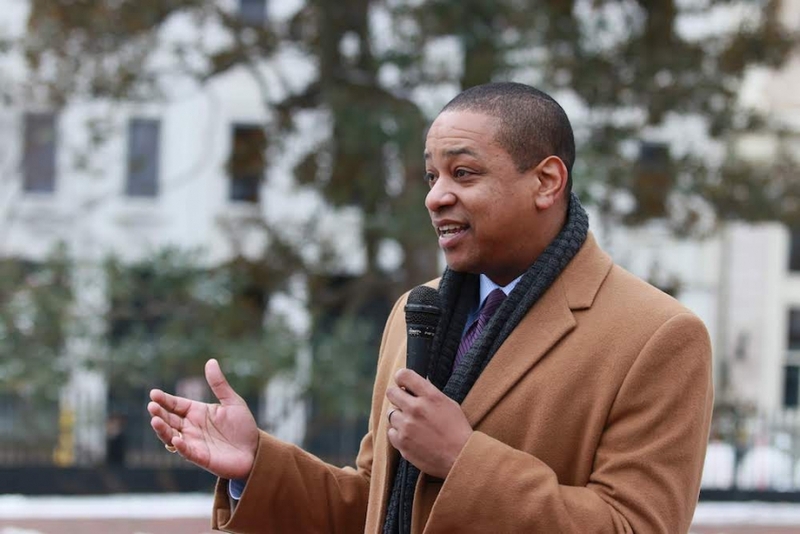 Governor Justin Fairfax speaks at a rally in January. WCVE news director Craig Carper and state politics reporter Ben Paviour discuss attempts to impeach Lt. Governor Justin Fairfax, a possible softening on Governor Ralph Northam, and more. Carper: Ben, it’s been another crazy day in Virginia politics. Over the weekend Democratic Delegate Patrick Hope was talking about starting the impeachment process against Lt. Governor Justin Fairfax. Fairfax has been accused of sexual assault by two different women. Then on Monday morning, Hope backed down from his plan. What happened? Hope says he’s open to other avenues for investigating the allegations. Carper: What would that process look like? And what’s Fairfax saying about all this? Paviour: Fairfax says he wants a thorough, independent investigation. His attorneys are looking into possible venues. A source close to Fairfax floated the idea of some kind of civil investigation separate from any criminal proceedings at the scenes of the alleged attacks. Fairfax has also talked about an FBI investigation. But Hope says the FBI doesn’t have jurisdiction over state crimes. Hope says he’s still talking with colleagues about how the investigation should work. Attorneys for one of Fairfax's alleged victims, Meredith Watson, say she wants a public hearing in the General Assembly. Meanwhile, two out of Fairfax’s three government staff resigned after the second accuser came forward on Friday.. Two members of his political action committee have also quit. Carper: And then we’ve also been following Governor Ralph Northam. He told the Washington Post that he wants to spend the rest of his term fighting for racial reconciliation. How are people reacting to his latest statements? Paviour: Almost all Democrats in the state have called for the governor to step down. So the question is, if he aggressively pursues these new policies, can he win back the support he’s lost? Here’s Democratic Delegate Lamont Bagby, who chairs the Virginia Legislative Black Caucus. Bagby previously called for Northam to resign hours after that racist yearbook photo surfaced, so you can hear that he’s softening his tone a bit there. There’s now a sense among lawmakers that Northam is probably here to stay, so we’ve got to figure out how to move forward. Carper: The public also seems to have mixed feelings about all these controversies. A Washington Post poll released over the weekend showed Virginians are pretty evenly split on whether Northam should resign after the blackface scandal. Almost 60 percent of African Americans thought he should stay. What are people saying here in Richmond about both Northam and Fairfax? Paviour: Well our colleague Megan Pauly went out and spoke to a handful of people yesterday. One of those people was 19 year-old Karen Brown. Brown says she’s suspicious about the timing of all of this, with three of the top state Democrats engulfed in controversies that came up within days of each other. But then there’s also people like 31-year-old Ernest Monroe. He says Northam should continue with his racial reconciliation work behind the scenes, not as governor. Monroe says he thinks Fairfax should step down, too. So a range of opinions here. Carper: Thanks Ben. We’re going to continue following these stories as they develop. You can stay informed by listening to our coverage during Morning Edition and All Things Considered. You can also track our coverage online at ideastations.org/news and on twitter @wcve. You’re listening to WCVE News.